Stephanie is a professional educator and artist. She earned a Bachelor of Arts in Studio Art and English with a concentration in creative writing as well as a Master of Fine Arts in Creative Writing from Hollins University. She grew up in Houston, Texas, where she attended Beyonce’s alma mater, the High School for the Performing and Visual Arts, as a visual arts major. 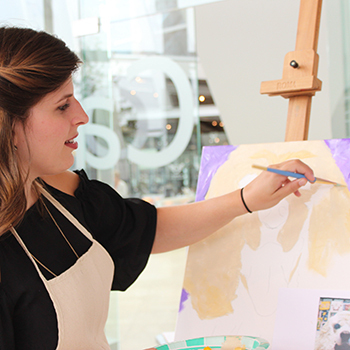 Stephanie has taught art, art history, art criticism, painting and creative writing in Houston, Baltimore, and Roanoke. She also is the recipient of numerous poetry awards and grants including an artist grant from the Baltimore Office for the Promotion of the Arts and the Gertrude Claytor Poetry Prize from the Academy of American Poets. She publishes as S.H. Lohmann, and you can read her work in Rattle, The Indiana Review, Third Coast, and elsewhere. 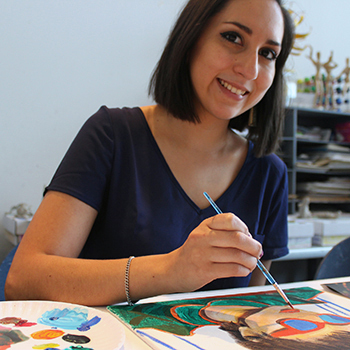 Mariam is a professional artist and Museum staff member in the Education Department. 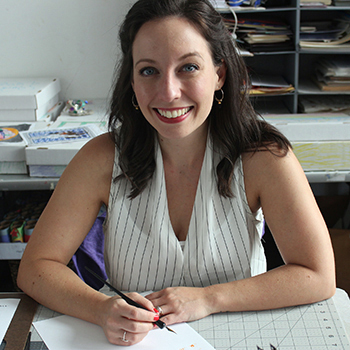 Her business, Fostered Design, specializes in fine art using a variety of media, including watercolor, acrylic paint, charcoal, ceramics, and pen and ink, as well as personalized stationery with hand lettering and modern calligraphy. 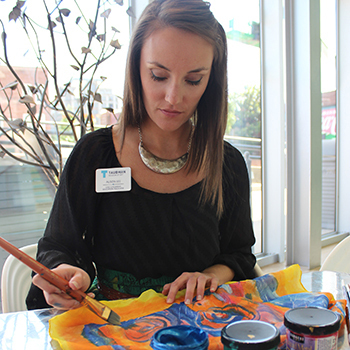 She is a Roanoke College graduate, and is excited to share her passion for the arts with the community. Alison earned a Bachelor of Arts in Studio Art from the University of Mary Washington. She has taught elementary through adult-aged classes, workshops, outreach programs and summer camps at the Taubman Museum of Art since 2015. She also teaches gifted art after-school classes to elementary-aged students in Roanoke County Public Schools. Alison has a dance background, and is also a working artist who enjoys participating in community shows, fundraisers and collaborative projects, creating primarily with mixed-media materials. Ana is a Roanoke-based artist who works primarily as a painter. She earned a Bachelor of Fine Arts in Studio Art from James Madison University and a Master of Fine Arts in Studio Art from the School of the Art Institute of Chicago. 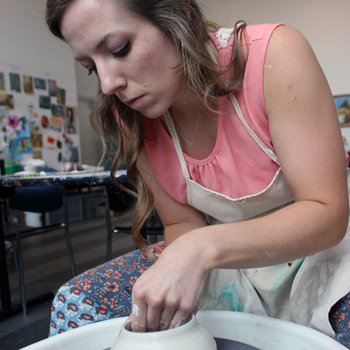 She has exhibited her work nationally and locally, and in 2015 was awarded second place at the Roanoke College Biennial. Ana is on staff in the Education Department at the Taubman Museum of Art. Katrina earned a Bachelor of Art in Art History from Roanoke College and has been with the Taubman Museum of Art since 2015 as a professional educator. She enjoys experimenting with different media and has extensive experience with acrylic paint techniques. Katrina also practices dance and is co-president of the American Association of Dance.